Contusion: It is caused by a blunt force, such as kick, blow, fall, accident, etc. It causes pain, swelling and discoloration due to a small amount of bleeding into the tissue. Contusion can be treated by compression, rest, icepack and elevation. However, serious contusion problems may need to be examined by the doctor. Sprain: It is caused by a wrench or a twist. Ankles, knees and wrists are often affected by sprains. It can also be treated by rice, icepack, compression, elevation (R.I.C.E). But, if the ligament is completely torn, then a surgical repair may be required. Tendonitis: A flexible band of tissues that connects muscles to the bones is called tendonitis. When an injured area is continuously moved, it can lead to tendonitis. Elbow, hands, wrists, shoulders, knees, ankles, and foot are some of the commonly affected areas. Apart from R.I.C.E, Dr Ashwani Maichand advices to do stretching and strengthening exercise to ensure speedy recovery and avoid further injury. If the chronic pain continues, steroid injections may be used. Surgery may also be required if the tendon is completely torn. Bursitis:It is also caused by the continuous movement. But, in some of the cases, it may be caused by direct trauma to a joint. Bursitis affects shoulder, knee, hip, elbow, ankle, and foot. Treatment involves R.I.C.E and anti-inflammatory medicine. Injections may also be required if the pain persists. The doctor can suggest antibiotics if the bursitis is caused by injection. Stress fracture: A small crack that occurs in the weight-bearing bones of the lower extremities is called stress fracture. It may happen in legs, hip and feet. The fracture is either caused by overusing the bones or increasing the physical activity. One needs to decrease the activity of the bone to start the treatment, which includes rest, anti-inflammatory medicine, shoe inserts, braces, etc. Surgery may be required if the crack starts to progress. Strain: It is an injury caused by force, overuse or stretching of the muscles or tendon. Dr Ashwani Maichand suggests that a person suffering from strain must avoid putting further stress on the affected area to recover quickly. Further treatment includes, icepack, compression and elevation. Surgery may be required if a tear occurs in the muscles. 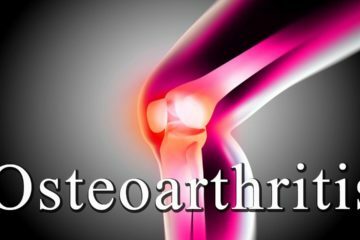 Why women are prone to bone diseases?